Moving teams between competitions is a regular occurrence and in the past has been time consuming process for administrators. The following documentation will explain the best process to copy all the teams including their members from one competition into a new competition. This process will only work if both competitions are being played in the same season, for example season 2013. This process is suitable if you have a large grading competition and then want to move teams into new competitions within the same season. For example you may have a grading competition with 40 teams which you then want to split into four competitions with 10 teams each. 1. 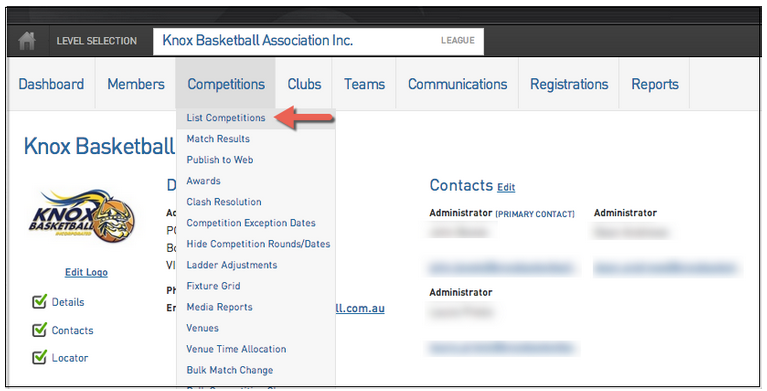 The first step is from the 'Dashboard' at Association level to hover over the 'Competitions' tab and then click List Competitions from the drop down list. 2. You will then click the New tab located in the top right hand corner. 3. The next step is selecting the type of 'Competition' that you want to setup. 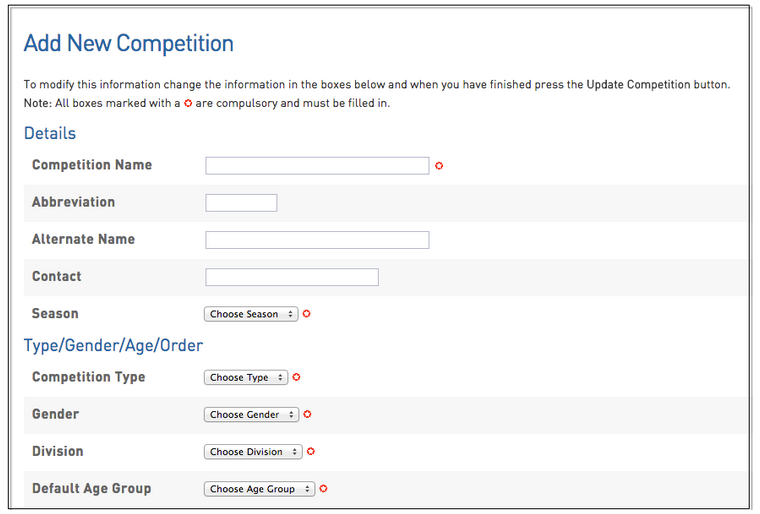 4.This will bring up a 'New Competition' form for you to fill in the details of the new Competition. Note: You must ensure that the Season you select is the same Season as the existing Competition that the Teams will be from. 5. Once this is completed click Update Competition. 7. From the menu header click Teams. 8. 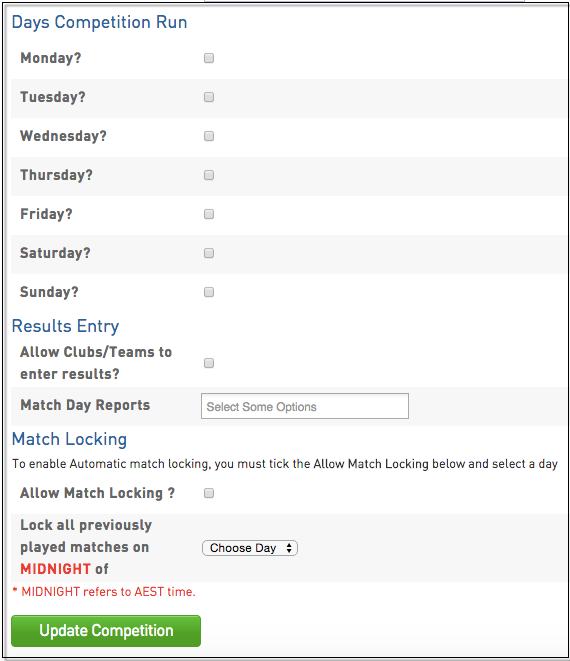 Then click Manage Teams in Competition. 9. You will then need to select the 'Competition' that you want to select teams from. 10. Once you have selected the Competition click select teams to load. 11. 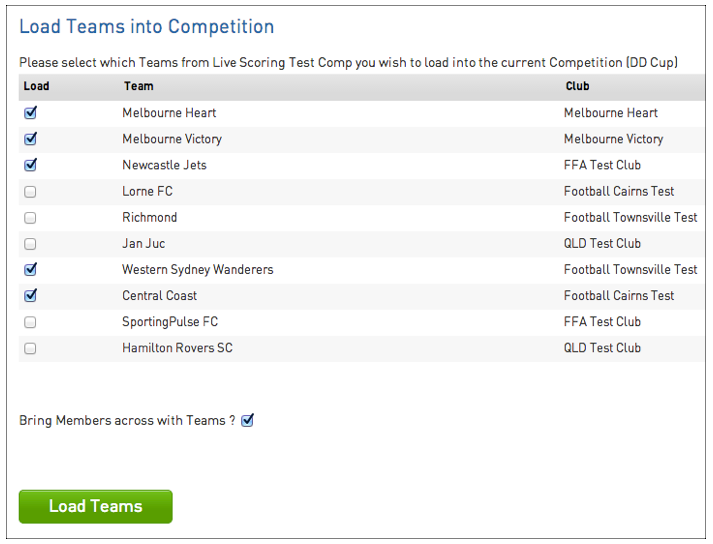 Select the Teams in the Competition that you want to bring across by clicking the Box next to the Team name. 12. Click the Box to the right of ‘Bring Members across with Teams’. 14. Click the Teams tab again from the Dashboard Menu. 15. 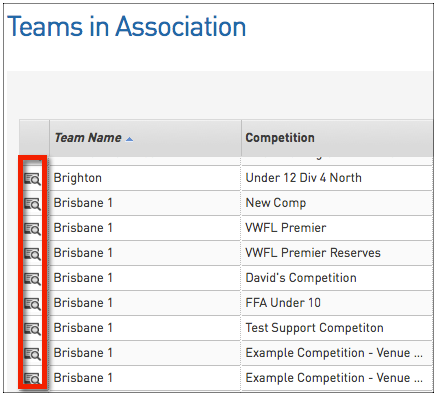 Then select one of the Teams by clicking on the Magnifying Glass to the left of the Team name. 16. 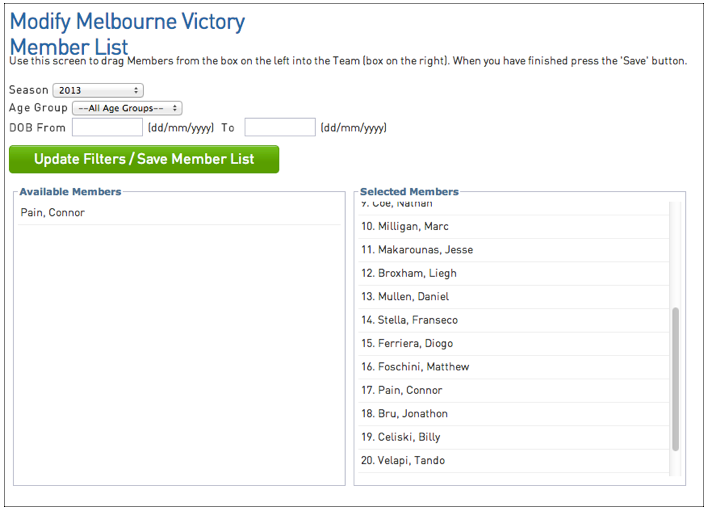 Once the Team is displayed hover over the 'Members' tab and click Modify Team List. Note: You will then see all the Members that have been brought across from the original Competition. You will notice that if they are 'Selected Members' in the original Competition they will also be in the 'Selected Members' for the 'New Competition'.